Who is Manchester City’s new signing Zack Steffen? 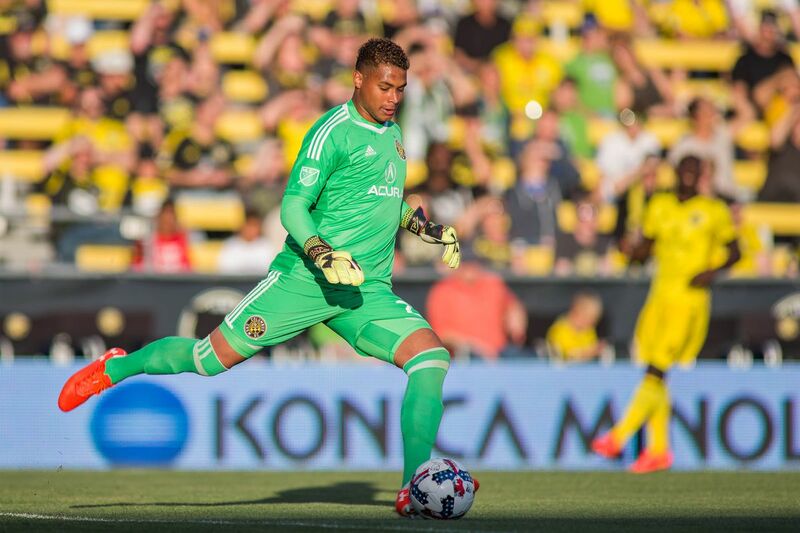 Despite the growth in the size and popularity of the MLS, you probably haven’t heard of Columbus Crew’s man between the sticks. The fee for the 23-year-old is said to be £7 million, which for a competent second choice keeper, is a respectable fee. Considering Bravo’s wages and the uncertainty the Chilean brings to the backline, this is hardly a gamble from the Citizens. Steffen began his professional career with SC Freiburg after playing two years of ‘soccer’ (apologies to all sane fans of the beautiful game) at the University of Maryland. Yet after progressing through the ranks, being third choice keeper was not sufficient for him. So he chose to return to his homeland, signing for Columbus Crew. Nine games on loan with second-tier side Pittsburgh Riverhounds gave him a taste of professional football before he was ready for first team football the following season. The American made 34 appearances in his debut season, keeping a respectable 9 clean sheets. This stat is elevated further by the fact he made the 5th most saves in the league out of any keeper. Steffen’s performances also came in big games for Columbus Crew with the keeper making 2 penalty saves in their playoff game to pull his side through. The shot stopper built on his impressive 2017 season with improvement in all aspects of his game for 2018. The American is also his country’s number 1 with 6 senior caps, which are only going to increase as he is still 23 years old. As an understudy to Ederson and with Guardiola’s education, Steffen could certainly develop into a formidable keeper. Though first-team opportunities may be scarce, his move to the Etihad in July 2019 could be invaluable for his progression. Your posts, and your website in general is really cool. It’s gives me good inspiration for mine as well. Kudos!